The is a new trail still under construction. 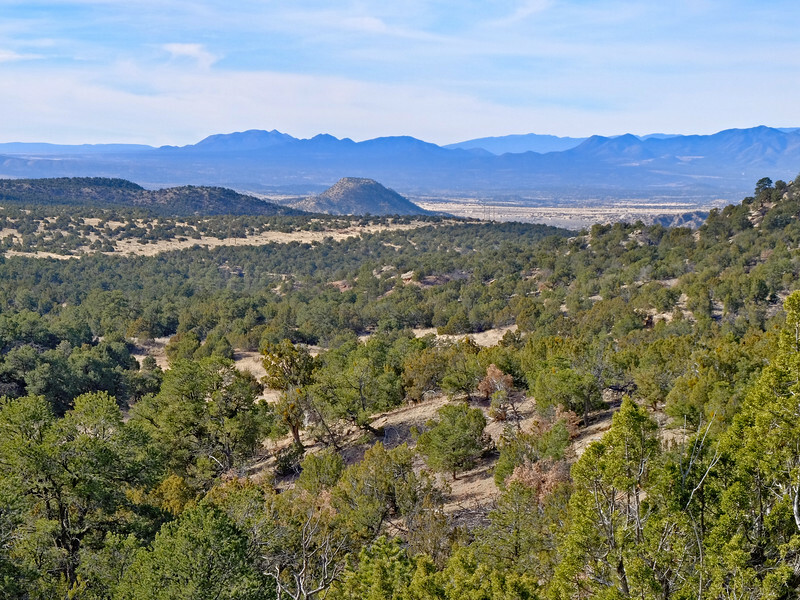 It goes through a variety of terrains — forested areas with large piñons, junipers, and ponderosas, around a large meadow, and skirting arroyos. At places there are spectacular views of the rock cliffs on the other side of the valley, and the mountain ranges off in the distance.